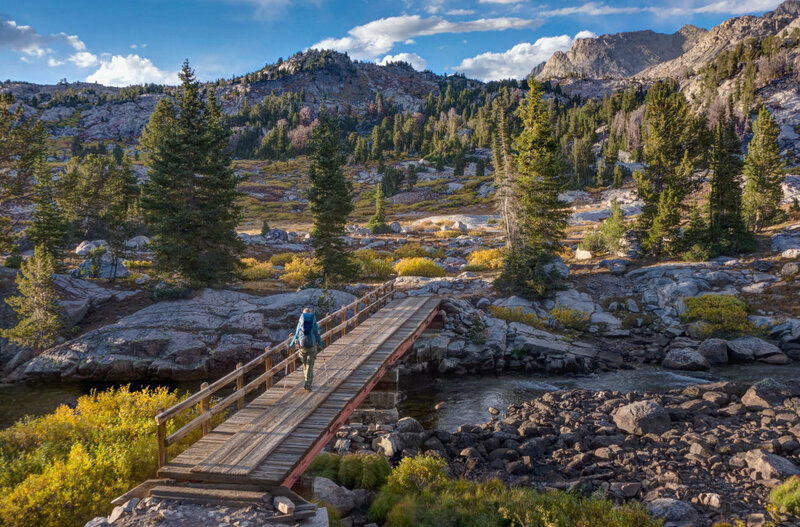 Summer is peak season for backpacking, but conditions on many trails can be unbearably hot during the day. While it can be tempting to sit at home in front of your air conditioner, there are plenty of ways to deal with the heat so you can still get outside. Planning for hot days isn’t just about comfort—it’s also about health and safety. Hiking in serious heat can put you at risk for sunburn, dehydration, hyponatremia (over-hydrating! ), heat exhaustion, and even heat stroke. Don’t let that deter you though. Summer backpacking is amazing—high-elevation trails are cleared of snow and the peaks are open for business. With the right planning and strategies, you can feel confident hitting the trails no matter what the thermometer says. Do you like waking up with the sun, enjoying a leisurely breakfast at your campsite, then hitting the trail by 9 a.m.—at the earliest? While relaxing, that schedule means you’ll be hiking in the high heat of the day, particularly uncomfortable in the more arid and lower-elevation regions. If your backpacking trip takes you through desert-like terrain, set an alarm, wake up before the sun, and hike until 11 am or so. Right when the sun hits its peak, grab a sweet spot of shade for a rest, then finish the rest of your miles as the sun dips towards the horizon. Staying hydrated is easy in theory, but many people don’t realize how much water they should be consuming during periods of high exertion when the temperature soars. While everyone’s hydration needs vary, the average adult backpacking in hot and/or humid conditions should be drinking one liter of water per hour. The more you exert yourself, the more fluids you lose, and the more you’ll need to replenish. Don’t wait until you feel thirsty—you’relikely already dehydrated by that point. Sip water throughout the day and you won’t have to worry about catching up later. Start your day on the right foot by drinking half a liter as soon as you wake up in the morning. 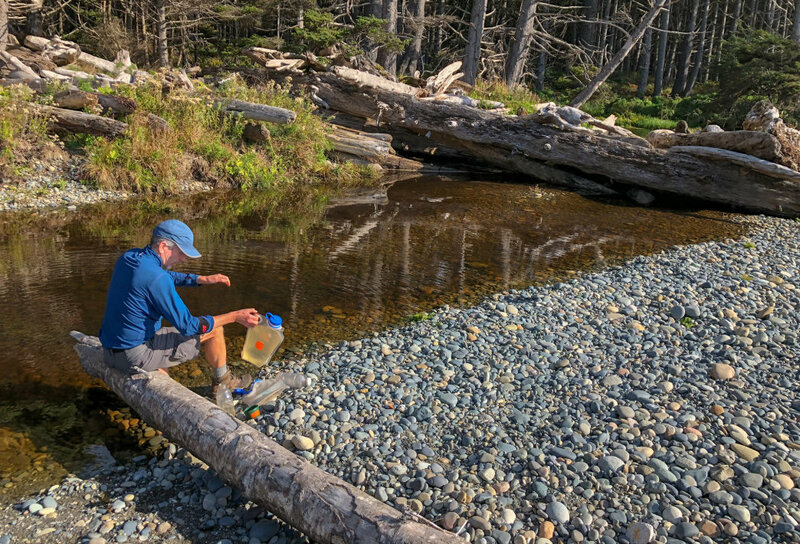 Keep careful track of upcoming water sources, and make sure you have adequate fluids to get there. If you start to dread the forced water chugging, try adding flavor. MiO drops, electrolyte powders, and Nuun tabs are all flavored options that can help boost energy and replenish electrolytes. Choose lightweight, light-colored clothing. Though it may seem counterintuitive, you’ll actually want to be covered up if you’re planning a trip to a region without much shade. Long pants and a long-sleeved shirt made of the right materials can be more comfortable than short-shorts and tank tops. 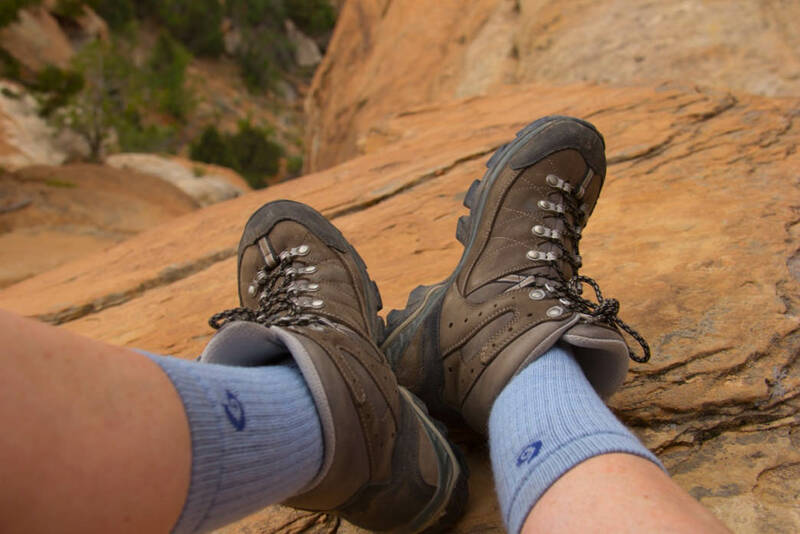 Wear lightweight hiking socks and breathable hiking shoes for fewer sweat-induced blisters. Carrying a hydration pack is never a bad idea, as they have a larger capacity than most bottles. Hydration packs make water less of a hassle to access, which can make it easier to drink more water. Try different accessories and see what works for you. Some backpackers swear by the sun umbrella or a wide-brimmed hat, and believe it or not, sun gloves are becoming more mainstream. Adding a bandana to your outfit can help protect your neck from the sun, plus it can be saturated at water sources for added cooling. Lastly, pack a few salty snacks to help replenish sodium lost through sweating. Your clothing can also help regulate your ideal body temperature and humidity level. Humans have an ideal core temperature during exercise—something many of us have discovered through experience but don’t know the details of. Maintaining a core temperature around 37.5 degrees Celsius will help you function at your optimal level while feeling the most comfortable. Humans also have an ideal set point for for relative humidity, sitting right around 37.5 percent. When you're there, you're comfortable. 37.5 technology is made with coconut shells and volcanic sand(yes, seriously), and uses a patented active-particle technology to aid thermoregulation. The thousands of particles above skin pores move sweat out at the vapor stage, keeping your relative humidity in a comfortable range, and delaying liquid sweat. Instead of waiting until the body starts sweating to wick the moisture, this technology regulates the humidity above the skin so that liquid sweat doesn’t get the change to build up at all. The technology originally aimed to use activated carbon for odor elimination in fabrics. However, testers reported that the garments didn’t just stay stink-free: they also dried quickly, staying cool and comfortable for extended periods of time during high-energy output. It turned out that the fibers combined with the activated carbon were being triggered by humidity, drying out microclimates with high humidity, and increasing thermal resistance at lower humidity. Basically, the particle reactions change based on whether you need to be warmed or cooled. So in high temperatures, layers made with 37.5 technology help delay sweating by sensing that the moisture vapor is too high, regulating the microclimate accordingly. Dozens of popular brands use this technology, so you’ll have plenty of options to choose from. In fact, you can build a whole apparel kit to help deal with the heat, including outerwear, base layers, and footwear. When your body is functioning at its optimal temperature and humidity range, you’ll be able to stay out longer, hike throughout the day with increased comfort, and experience fewer limitations without the intense heat dragging you down. Now step away from the air conditioning and go experience a summer backcountry adventure! Written by Maggie Slepian for RootsRated Media in partnership with 37.5.